Is Graffiti Art Mindless Vandalism Or A Way To Save Your Brand Image? Graffiti art has come a long way since the 1970’s and 80’s where it was just a punishable crime, graffiti has progressed from mere vandalism to the realm of contemporary art. Thanks to the likes of Banksy it is getting more and more recognition as a legitimate form of art. 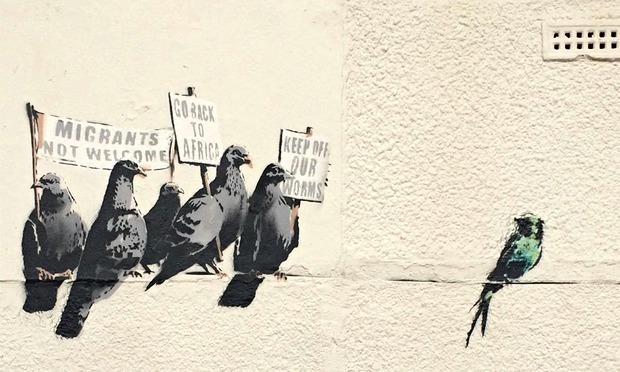 Banksy has had his work shown in galleries such as Sotheby's in London. Despite his anonymity, the British artist has gained tremendous popularity. Celebrities such as Angelina Jolie and Brad Pitt have purchased his work for a hefty price. The purpose of graffiti art is self-expression and creativity, and can involve highly stylised letter forms drawn with markers, or cryptic and colourful spray paint murals on walls, buildings, and even freight trains. Graffiti artists strive to improve their art, which is constantly changing and progressing. A more recent mutation of the art form is ‘photo-realistic’ graffiti which is quite the sight to behold. In the world of advertising it isn’t easy to gran the attention of your audience. Today we are hyper aware of being ‘sold to’ and tend to switch off from obvious and tired advertising techniques. 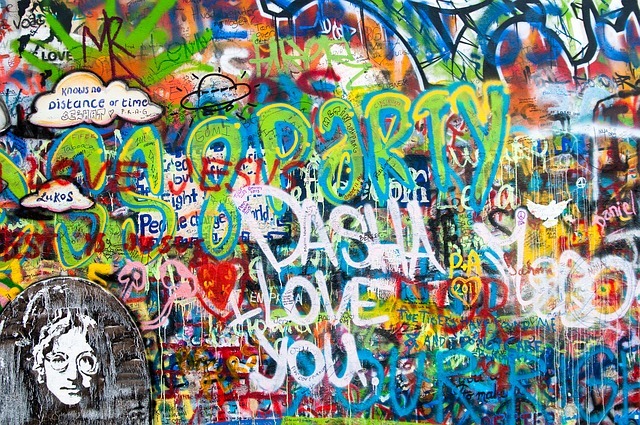 Graffiti advertising could be the answer you have been looking for when it comes to raising brand awareness. Standard billboards have been done a million times before and come pre-printed and stagnant. With graffiti advertising you are creating something in real time. You are putting your artist out there in front of your audience and daring them to be intrigued. Graffiti art takes time, this gives your campaign that extra longevity and added build up of natural curiosity. Imagine passing an emerging piece of art on the bus Monday-Friday and watching it grow into a finished masterpiece. The joy of the internet is that you can further widen your audience by creating a time lapse video and commissioning a mini documentary about the process. Don’t forget, graffiti art is cool and interesting so you already have decent content! Our team at Street Advertising Services worked with Fox Movies to create a huge guerrilla marketing campaign to celebrate the impending release of The Rise Of The Planet Of The Apes. We gathered together some of the world’s top graffiti artists and drove the length of the UK, from Glasgow to Brighton creating stunning pieces of graffiti. These artists really were some of the best graffiti artists in the world. Their task was to create an original piece based on the them of 'apes getting smarter’. Their inspiration came straight from the fans as we asked Planet of The Apes fans to tell us what ‘apes getting smarter’ meant to them. The graffiti artists turned the worlds of the fans into amazing art using their own unique styles. The murals were seen by thousands of people passing by in each city and the campaign was filmed and shown on its only channel on Youtube where another 100,000 people saw the murals come to life and commented and shared on their social media accounts. This project was very successful and got picked up by BBC1 News as it went viral in social media sites. This kind of attention is what you can expect from this type of campaign. It creates a lot of attention as it is something different and it is something which emerges over time. The theme of the graffiti art really reflected the film and in that the brand message which was that ‘evolution meets revolution’. The live presence of the artist in broad daylight gave passers by an intriguing sight, this interesting escape from the mundanity of their every day stroll to work or to the shops meant that many people were compelled to take pictures of what was unleashing before them. The pictures being taken by the public were instantly uploaded live to their Twitter & Facebook feeds for their friends to like and share. Tens of thousands of people were retweeting and tagging themselves in the Facebook photos. This type of user generated content is brand image gold. The outcome of The Rise Of The Planet Of The Apes was a huge and happy success. There is no limit to what we can achieve for your brand with this medium. Armed with a good imagination we can come up with an intriguing graffiti campaign for your brand no matter what sector you work in. We have been trained to think outside the box…or outside the billboard so we should say! A well thought out and well organised graffiti art campaign can say so much about your brand image and generate the right kind of user generated content that will lift your brand higher than your competitors. Going experiential can feel like quite a challenge and not everyone feels comfortable taking a risk in this way however by not taking a creative risk you could be missing out on important new ways to reach your target audience. Getting likes and shares via social media is the new way to connect in a measurable way with your target audience. We have a proven track record of turning a risky experiential move into an impressive success for both big and small brands. You only have to have a look though our blog and previous campaigns to see that! Want to know what we can do for your brand? 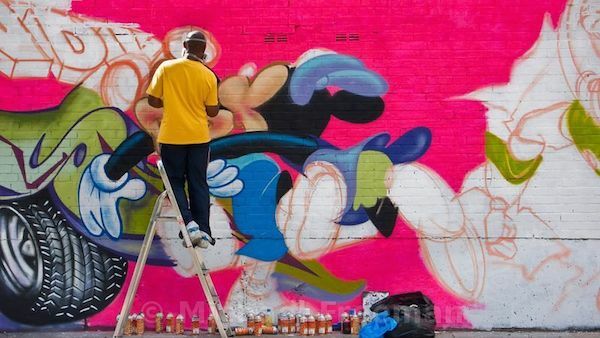 Can we create a bespoke graffiti art story to improve the ‘cool’ of your brand? Get in touch for a consultation now and let us show you how it all works!